I like to draw animals, and images of people, sometimes combined. I enjoy the animals and the land, and I take what I see there to my drawings. Qavavau was born in Brandon, Manitoba in 1958 where his mother, Paunichea, was hospitalized for treatment of tuberculosis. 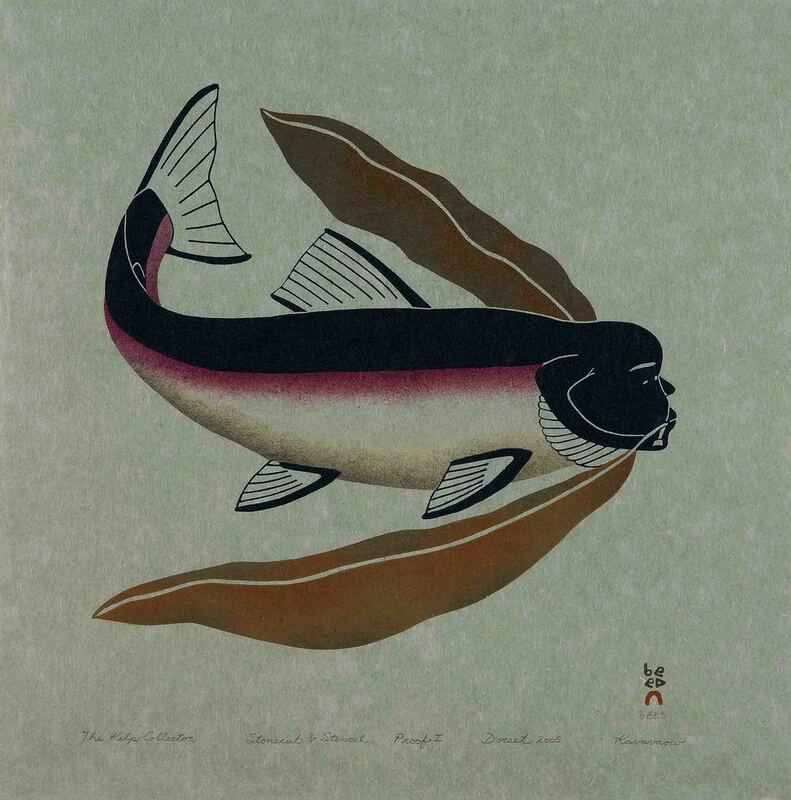 He returned to Cape Dorset as a very young child and has lived there since. Qavavau has demonstrated a range of stylistic abilities over the years - from the very literal to the more expressive. 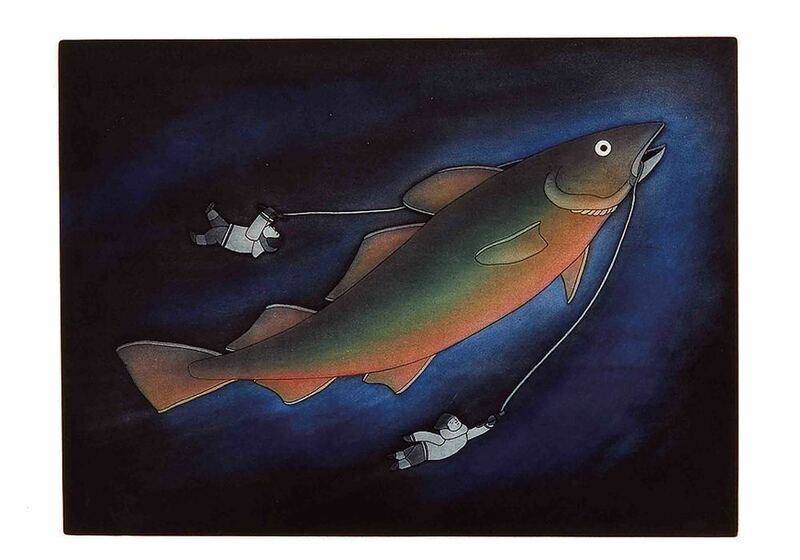 His work is idiosyncratic and often amusing in his depictions of Inuit legends and mythology, Arctic wildlife and contemporary aspects of Inuit life Qavavau is the latest among the second generation to attract critical acclaim from the contemporary arts audience in the south. He and Shuvinai Ashoona have been profiled, along with Nick Sikkuark of Gjoa Haven, in the Winnipeg- based arts magazine, Border Crossings. 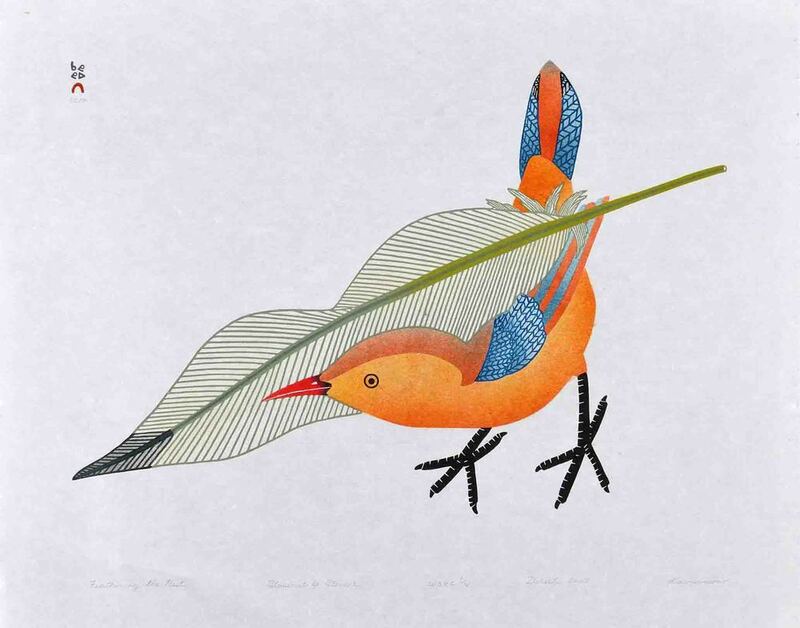 He traveled to Toronto in June of 2008 for his first solo exhibition of original drawings, and in 2009 to Vancouver for another exhibition featuring his contemporary work. He was invited to attend an opening of his work in Victoria in the fall of 2012.